How can Organization Education (OE) borrowing privileges help in your classroom? 30 day loan periods and an additional 30-day renewal. Borrow up to 50 items per checkout, which can include books, toys, CDs and playaways. There are limits on some A/V items. Ask staff at your nearest SLPL location to prepare a collection for you if you don’t have the time! Who can get OE privileges? Educators, administrators, librarians and childcare providers currently employed at a public or private school, childcare facility, afterschool or special education program, as well as homeschooling parents in the City of St. Louis are eligible to apply. OE privileges are free for educators in the City of St. Louis and there are no overdue fines charged on late returns. There are charges for lost or damaged items. I have fines on my personal library card. Can I still apply for OE privileges? Yes! Because the accounts are separate, you can still receive OE privileges. How do I apply for OE privileges? 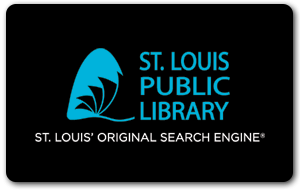 Stop by or call your nearest SLPL location for an Organization Card application. The principal, administrator or owner of the facility must sign to verify eligibility for all employees included on the application. Is there a limit to how many teachers or employees can have OE privileges? No limit! A single parent who homeschools may receive privileges or every teacher at a school can be registered for the service.